The first steps toward anthroposophic medicine were made before 1920, when homeopathic physicians and pharmacists began working with Rudolf Steiner (1861-1925), who recommended new medicinal substances as well as specific methods for preparing these. 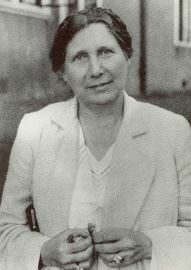 In 1921, Dr. Ita Wegman (1876-1943) opened the first anthroposophic medical clinic, now known as the Ita Wegman Clinic, in Arlesheim, Switzerland. Wegman was soon joined by a number of other doctors. They began to train the first anthroposophic nurses for the clinic. At Wegman’s request, Steiner regularly visited the clinic and suggested treatment regimes for particular patients. Between 1921 and 1925, he also gave several series of lectures on medicine. In 1925, Wegman and Steiner wrote the first book on the anthroposophic approach to medicine, Fundamentals of Therapy. The clinic expanded and soon opened a branch in Ascona, Switzerland. Wegman lectured widely, visiting Holland and England particularly frequently, and an increasing number of doctors began to include the anthroposophic approach in their practices. A cancer clinic, the Lukas Clinic, opened in Arlesheim in 1963. There are currently anthroposophical medical practices in more than 60 countries. Rudolf Steiner’s approach to medicine is specifically called anthroposophically extended medicine because it extends conventional medicine. The very first requirement to practice anthroposophically extended medicine is to obtain a conventional MD degree and board certification. All “anthroposophical” doctors are fully licensed, board certified medical doctors. Steiner insisted on this, and his wishes have been respected down to the present day. Once they have completed conventional medical training, a medical doctor can extend their knowledge by adding further perspectives and additional treatment techniques by taking extension courses. Anthroposophical doctors will be the first to praise the advances in trauma care, or send their patients for surgery when necessary. So anthroposophical doctors reject nothing in the toolbox of conventional medicine a priori. Every option is considered for its appropriateness in a specific instance. Antibiotics are used when necessary, but so are homeopathics. Physical therapy is prescribed, but so is curative eurythmy (movement exercise to balance the forces within the body). Most anthroposophical doctors are family practitioners. This is the most demanding area of medicine from the perspective of the breadth of knowledge required. It deals with all ages and all types of conditions. The extended toolbox of anthroposophical techniques has proven an invaluable resource for family practitioners. And the experience of the last 80 years has shown how useful and effective these additional techniques can be, especially in treating chronic and long-term conditions. Ita Wegman, as she was known throughout her life, was born as Maria Ita Wegman in 1876 in Indonesia, the first child of a Dutch colonial family. Around the turn of the century, she returned to Europe (she had visited before) and studied therapeutic gymnastics and massage. In 1902, when she was 26, she met Rudolf Steiner for the first time. Five years later she began medical school at the University of Zurich, where women were already allowed to study medicine. She was granted a diploma as a medical doctor in 1911 with a specialization in women’s medicine and joined an existing medical practice. In 1917, having opened an independent practice, she developed a cancer treatment using an extract of mistletoe following indications from Steiner. This first remedy, which she called Iscar, was later developed into Iscador and has become an approved cancer treatment in Germany and a number of other countries, and is undergoing clinical trials in the U.S.A. By 1919 she had a joint practice together with two other doctors, also women. In 1920 she purchased land in Arlesheim, where she opened her own clinic, the Klinisch-Therapeutisches Institut, or Clinical-Therapeutic Institute, the next year. A number of other doctors joined the institute, which grew steadily over the next years as a first center for anthroposophical medicine. In 1922 she founded a therapeutic home for mentally handicapped children, Haus Sonnenhof, also in Arlesheim, and co-founded a pharmaceutical laboratory, Weleda, that has since grown into a significant producer of medicines and health-care products. 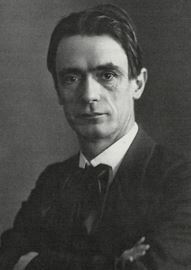 In the following year, Rudolf Steiner asked Wegman to join the Executive Council of the newly reformed Anthroposophical Society at the Goetheanum in Dornach, Switzerland. She also directed the Medical Section of the research center at the Goetheanum. Together, Wegman and Steiner wrote what was to be Steiner’s last book, Extending Practical Medicine (earlier editions were published as Fundamentals of Therapy), which gave a theoretical basis to the new medicine they were developing. The book was partly written while Wegman cared for Steiner, who was already terminally ill. Wegman founded a new medical journal, Natura, the following year.